What Wondrous Love is This? 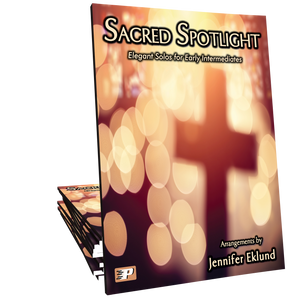 arranged in a contemporary, light jazz style by Debbie Center, enhancing the hauntingly beautiful melody of this cherished hymn. I am a church organist and play offertories monthly on the piano. I am looking forward to sharing this beautiful arrangement with my church prior to Easter. Hoping to see more hymn arrangements in the future. Beautiful, just Beautiful! Loved how smooth and flowing this piece is - is has a calm, dreamy, loving character to it all rolled up in one! Great Arrangement! Just played through this lovely arrangement. I am a church pianist, and this will be featured soon in my church. MORE!!!! !